Maungdaw, Arakan – The authorities tell displaced Rohingya villagers to lie to Kofi Annan when he visits their area. On the afternoon of December 2nd, Maungdaw District and Township Administration Officials, Border Guard Police along with the Police Force all in ten cars arrived in Dar Gyi Sar village tract in Northern Maungdaw Township. They gathered the people who are living in temporary huts in the village. They then pressured them to tell Kofi Annan that they were not persecuted. To tell him that the houses were burnt down by terrorists and the huts that they are living in currently were built by the authorities. The authorities threatened that they would arrest and torture them if any information was given to Kofi Annan, who is possibly visiting the area on December 3rd or 4th. The authorities tried to take fingerprints from the women who are living in the village but they did not succeed, as per one local reporting to RB News. The authorities also went to Yay Khae Chaung Khwa Sone and Thu Oo Lar villages and did the same there. 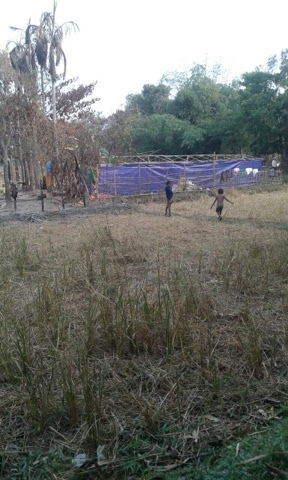 On November 26th, 2016 the authorities went to the field where the displaced Rohingya are taking shelter and forced them to return to village and build huts by themselves.